Services to keep your operation running smoothly. Serving GA, KY, NC, SC, TN, VA, FL, and WV. Facilities in Morristown, Knoxville, Oak Ridge, Kingsport, & Livingston TN, also Arcadia & Wauchula, FL. We will work to meet all your needs. Products to meet all your needs. Our sales and distribution region extends through much of the Southeast Appalachians. Rogers Petroleum offers the best products from the most reputable brand names in the petroleum industry. Since our inception, Rogers Petroleum has established a reputation for outstanding service. 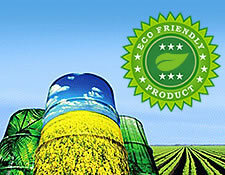 Rogers Petroleum is committed to providing greener products in an effort to reduce pollution. Rogers Petroleum and its subsidiaries are leading distributors of wholesale fuel and other petroleum services in the Southeast. We offer programs and services to help your business grow. We strive for complete customer satisfaction throughout your entire purchasing and delivery experience. Let our knowledgeable and friendly employees assist you in meeting your petroleum needs. We are excited about serving you and look forward to helping you grow your business. At Rogers Petroleum, we make it easy to keep your business running efficiently. 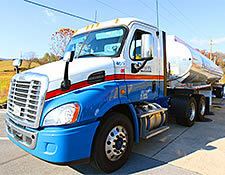 We offer a full line of fuels, including branded and unbranded fuels, racing fuels, biofuels and additives. Our services include deliveries by transport and tank wagon to commercial accounts, municipalities, and convenience stores. Our goal is to create sincere and long-lasting business relationships with our customers through outstanding customer service, a knowledgeable sales force and error-free, on-time delivery. Please feel free to explore our products and services and join our eClub to receive updates on specials and exciting events happening at Rogers Petroleum. Rogers Petroleum is a leading distributor of quality Fuels, Tank Wagon Fueling, such as Wet Housing, automated Fuel Management with Online Reporting (SMARTank) and Bio products and services, providing complete and comprehensive petroleum solutions to a variety of industries. Our Common Carrier Division can distribute throughout the US and has distribution facilities in TN, VA, WV, KY, GA, NC, SC, and Florida. Rogers Petroleum has the capabilities and resources to service all your “cradle to grave” petroleum needs – from product delivery to equipment inspection, and oil analysis, additives, BIO Fuels as well as everything in between. This full spectrum of services allows us to be your one-stop resource, eliminate the hassle of contacting multiple providers and suppliers, and simplify the process for you. We have a firm commitment towards safety, compliance, and regulatory guidelines, which allows you to rest easy knowing Rogers is ready to handle all your petroleum management needs quickly, efficiently, and responsibly. For more information, call 1.800.264-7460 or email us at [email protected] to contact us today.